Drill and Cut 20% faster than other coolant-fed drills. CobraCut structural steel drill bits incorporate special cutting geometries specifically designed for structural steel drilling. Available in high speed steel and cobalt, 170 deg or 135 deg point with chipbreaker technology. All drill bits are crafted of HSSCo M-35 cobalt for increased cutting edge life. Chipbreaker technology eliminates long spiral chips, especially when drilling deep. Coolant feed allows faster speeds and feeds. Coolant tubes are located away from the web for increased web strength. 170° drill point eliminates the need to grind the exit hole. Standard drill points are available. No expensive holders are required. 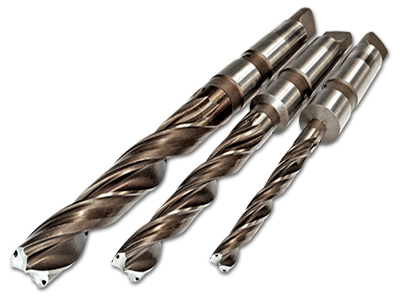 Our structural steel drill bits are re-sharpenable many times over. 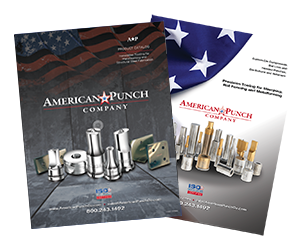 Review our options below and select “Add to Quote” for the drills you need, or contact American Punch today for more information on our rugged structural steel drill bits.